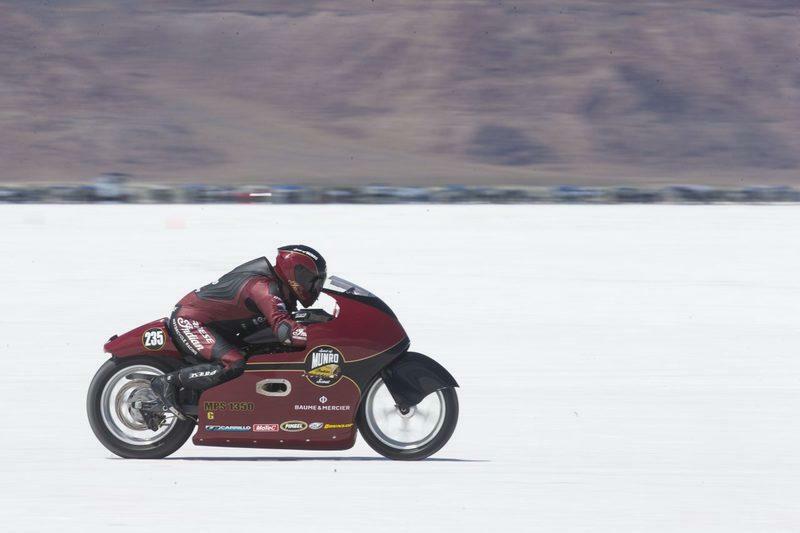 Driving the Indian “Spirit of Munro 50th anniversary 2017 Indian Scout” Lee Muro and the team were attempting to crack the 200mph at the Bonneville Salt Flats during the Speed Week earlier this month, for the second time. Unfortunately, mechanical failures threw both the bike and the rider out of the race and left Lee with some pretty bad burns on his leg that were unable to have recovered. 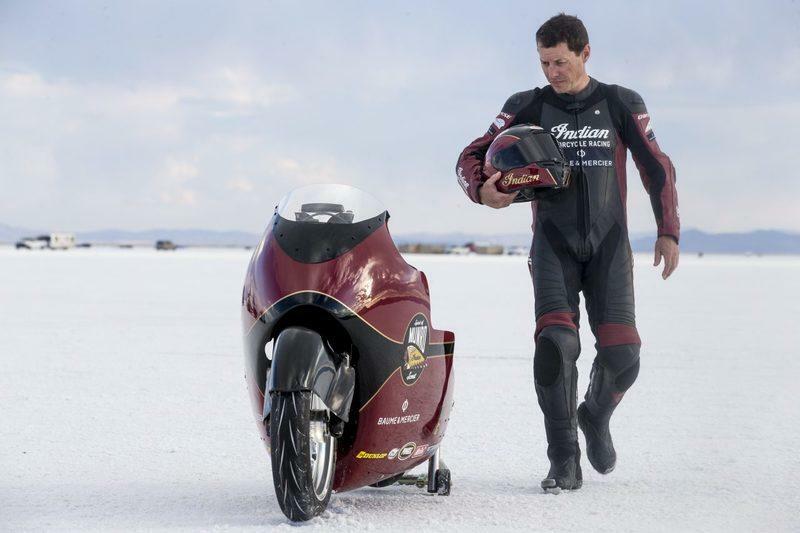 The current record by the Spirit of Munro is 191.286 mph recorded at the previous year’s Speed Week. The record run was be a part of the “70th annual Speed Week” that is happening from August 11th to the 18th, 2018, the same time where speed junkies from all over the world will land on this 10 mile stretch in the pursuit of holding the title for the fastest man and machine. 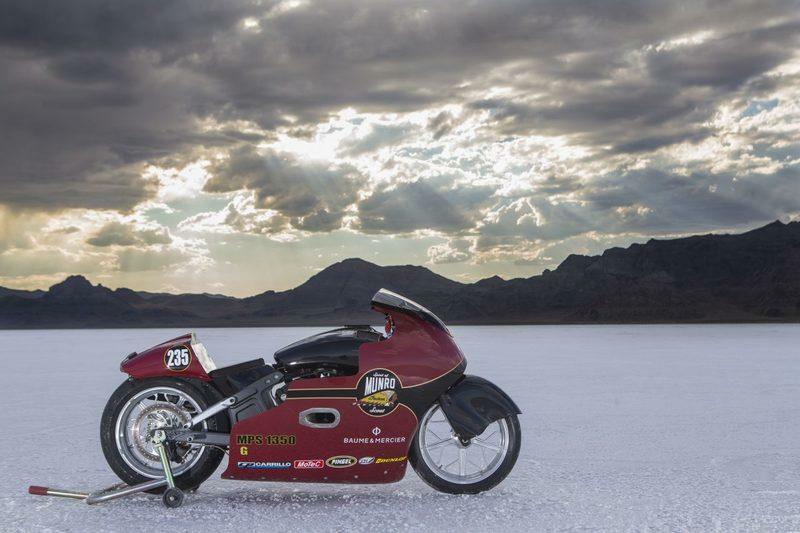 The motorcycle Lee was riding to hit the 200 mph barrier is the “Spirit of Munro 50th anniversary 2017 Indian Scout” - a motorcycle that is celebrating the Golden Jubilee of Burt Munro’s SA 1000cc class record of 183.59mph on his Indian Scout Streamliner at the Bonneville Salt Flats. That class is now called S-AF (Streamliner special construction fuel) 1000cc. 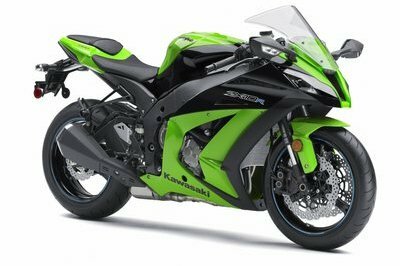 But, even with all the preparedness, the stars hadn’t aligned for the Indian team which suffered a malfunctioning Oxygen Sensor in the exhaust that blew out during one of the trials runs at the event. This resulted in the piping hot exhaust gases firing straight at Munro’s leg, leaving him with burns that threw him out of the event. 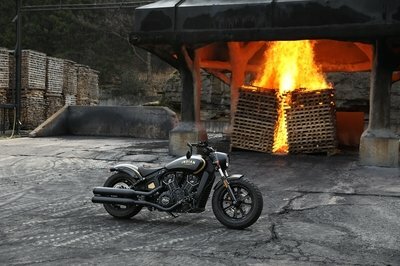 Lee gets a modern Indian Scout with the powertrain modified by the Indian Motorcycle engineering team. 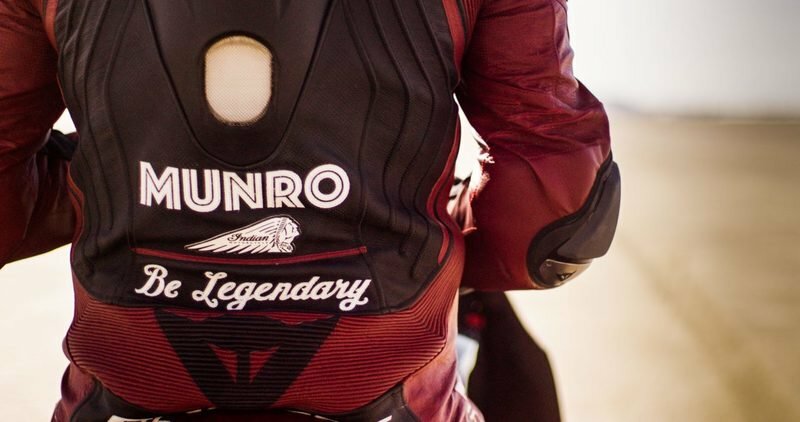 Last year, Lee recorded a speed of 191.286 mph at 2017 Speed Week that has officially is still the record for the 1350cc class on the Spirit of Munro 50th anniversary 2017 Indian Scout. 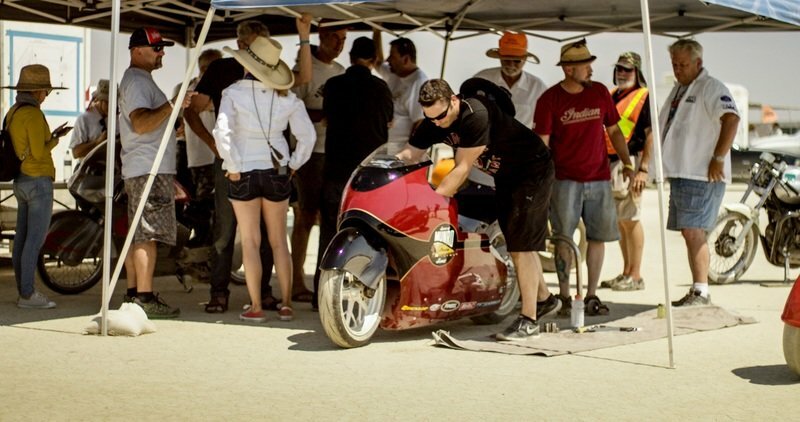 The chaps at the Indian factory volunteered to be a part of this historic attempt, working on the project “after hours.” Lee gets a modern Indian Scout with the powertrain modified by the Indian Motorcycle engineering team. The 2017 Indian Scout was heavily modified having a stock frame and bottom end of the mill and a whole new top end. The need for major airflow needed the whole gas tank to be completely modified with a huge airbox. 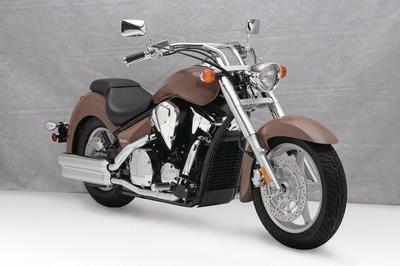 Narrower handlebar and streamlined body without any suspension are how they went by to hit the salt and reach 200 mph. 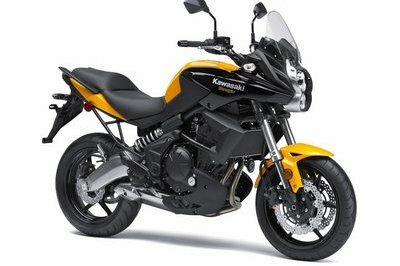 The fairing had to have the rider visible from the sides and the top for which Indian picked up an aftermarket unit and made use of narrower triple clamps from another project to fit the narrow handlebars inside the fairings. The 15” modified exhaust unit jets right outside the bodywork making it clean and simple. 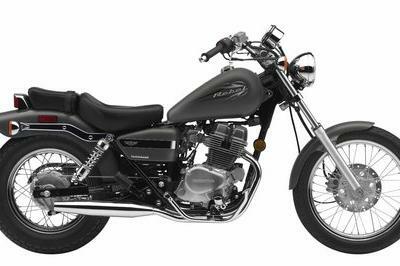 The rear suspension strut was replaced with a solid aluminum strut with links to adjust rider height.